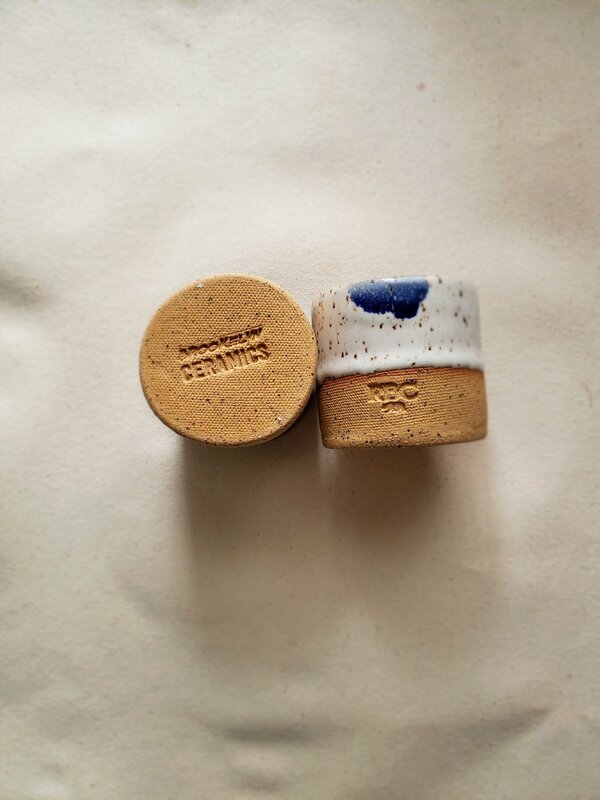 BrookeLyn Ceramics began within the Williamsburg neighborhood of Brooklyn, NY in 2015. It was started by Brooke Dawson, an orthopedics nurse in search of a new creative outlet. Creating had always been a way of life for her, a first love of sorts; whether it was cooking, writing, performing spoken word or interior design, her attraction toward developing ideas and being a maker was a necessity for life fulfillment. She fell in love with clay after a few Groupon classes, then set up a studio within her Flatbush apartment. Brooke quickly realized her affinity for hand-building. One year later she moved home to Oakland, CA to continue work between her new apartment and a nearby Berkeley studio. Today she runs this one-woman show by forming work that is functional, fun, colorful and often slightly askew. Her inspiration is extracted from various online, restaurant and storefront designs. Tangible encounters with art allow her to touch surfaces and better understand how other artists complete their works, this often seeding texturizing ideas. Lately her focus has geared toward jewelry and other body adornments, as this allows her to utilize various materials throughout her pieces. She is also in continuous study to progress in maximizing functionality with her kitchen pieces and home décor. She likes to say, "A fingerprint, fissure or ridge only adds to the character of the piece. The process will dictate the result."